Meet Karen Oh, M.D., associate professor of diagnostic radiology in the OHSU School of Medicine and Director of Breast Imaging at OHSU. 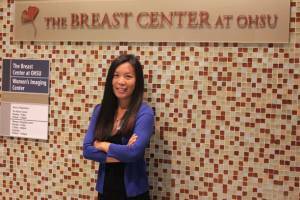 Dr. Oh functions as part of a multidisciplinary breast team that includes subspecialized breast surgeons, radiation oncologists, hematologic oncologists, genetic counselors and breast health nurses. 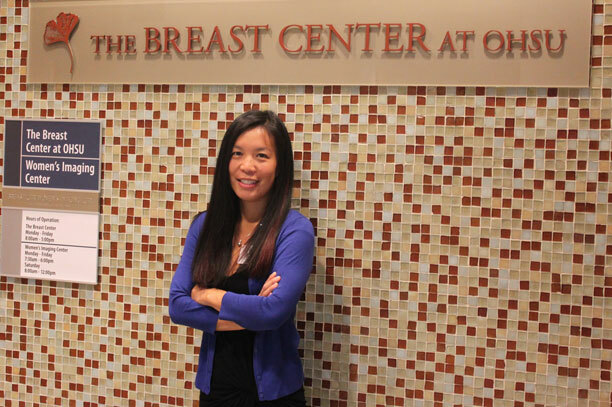 Dr. Oh recently spoke with the OHSU School of Medicine about developments in diagnostic radiology – including the passage of new legislation that aims to educate patients on how breast tissue density may impact cancer detection – and advancements she hopes to see in the future. The Oregon Breast Density Rule was passed and has been in effect since January 2014. This state-specific rule was first passed in Connecticut, and in the Oregon legislature was sponsored by one of our own faculty members, Senator Elizabeth Steiner Hayward. Senate Bill 420 mandates that mammogram facilities must provide specific lay person verbiage to patients with dense breast tissue, in an attempt to educate patients on how breast tissue density may impact mammographic cancer detection. This paragraph of information opens discussions between patients and their providers about whether additional breast screening tests are warranted. More information can be found on this State of Oregon website. The most important aspect of support that OHSU provides is the dedication to excellent patient care. 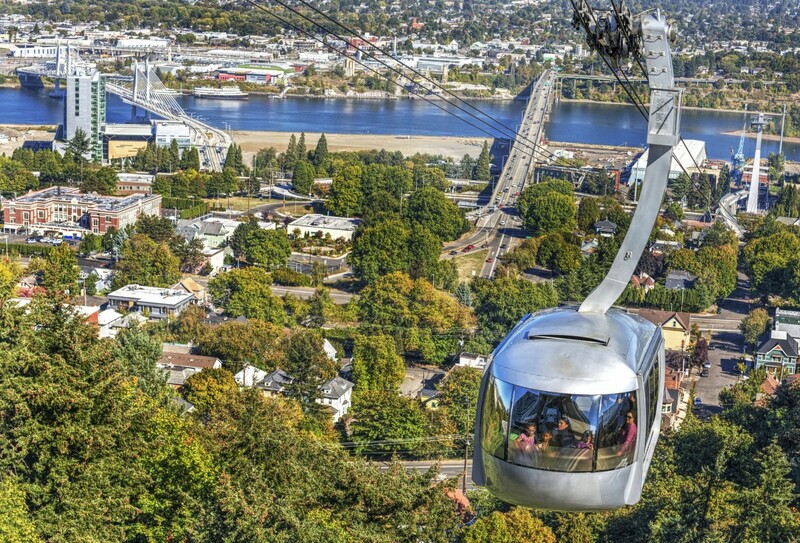 OHSU encourages the multidisciplinary approach, and our patients can only benefit from this. Within the areas where I work, including the Breast Center, Center for Women’s Health and Perinatal Center, I am lucky to work with providers and staff from many different specialties. We come together on a daily basis as peers to collaborate on patient care. Allowing providers the time and resources to continue this type of collaboration is important for the future of health care at OHSU, and I would like to see increasing support toward this goal. A hypothetical: If you could have one tool that would solve a seemingly impenetrable problem in your work, what would it do? You have unlimited resources to design this tool, so think big. Much of my clinical time and efforts are spent in the Breast Center. There, I interpret breast imaging studies and perform biopsies of breast lesions in an attempt to diagnose breast cancer at an early stage. The difficulty with breast cancer is that most instances occur in women who have no known genetic predisposition. Unlike smoking and lung cancer, there is no known direct cause for breast cancer. We just don’t know why women get breast cancer, which is why screening mammography was implemented. However, there is controversy about screening mammography and much discussion about over-diagnosis, or the diagnosis of a cancer that would not ultimately be apparent to a patient if we hadn’t found it on a screening exam. While this may be true for some breast cancers, we don’t know which cancers will eventually be fatal. If there were a way to know which cancers at diagnosis would be fatal, this key information would significantly mitigate the effects of over-diagnosis and over-treatment. This blog post originally appeared on OHSU’s internal “Inside the SOM” blog, authored by Jennifer Smith, Senior Communications Specialist in the OHSU School of Medicine.